Check out the eBook Sale! Revised and updated in August 2018! This revised edition contains a new section on Michigan equity and adequacy studies recently completed in the state for K12 education. The purpose of this handbook is to help those interested in public education in Michigan gain an understanding of the system currently used to generate revenue for the support of Michigan’s public schools. In addition to describing where the dollars come from, it will also describe the basis on which dollars are distributed to each school district. Such a description would not be complete if it did not also include a discussion of some of the public policy questions that give rise to both support and criticism of the current system. To that end this handbook will briefly describe past problems, how they have been addressed, and what problems still remain. ​This book makes an effort to explain the Victorian school funding and financial management model, within the broader Australian context, in a simple and comprehensible manner. This book will assist school council members, principals, aspiring principals, school business managers, graduate students, teachers, parents, and interested community stakeholders to grasp the Victorian school funding and financial management system, together with current and future trends in Australia, without difficulty. Note: There are many apps that support EPUB and PDF files. We recommend using iBooks, Adobe Digital Editions, ePub for Android, or any eReader extension for Chrome or Firefox. ​Taking the Mystery Out of Texas School Finance is one in a series of books written with the 7-Eleven Test in mind. 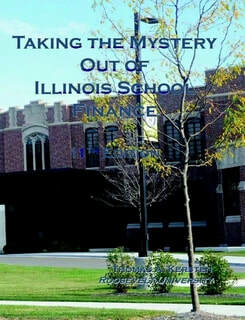 If communication is carried out correctly, anyone could walk down to his or her local convenient store and discuss concepts covered in this book and anyone he or she may speak to at the store would fully understand what was being discussed without being burdened by an excessive number of school finance terms. Author Gary Tucker (former school administrator and Superintendent of Schools) explains Florida School Finance with a metaphorical and conversational tone (absent is the complicated hard to understand concepts), and truly "takes the mystery out of Florida school finance." Updated for fiscal years 2019 & 2020 - Virginia’s school districts are fiscally dependent upon the local governing bodies, both county boards of supervisors and city councils. The local school superintendent is responsible, with the approval of the local school board, for the preparation and submission of the annual school budget to the governing bodies. The governing bodies have been given the authority by the General Assembly to have near complete fiscal control over local school budgets. This book focuses on issues of global leadership for educational leaders. Major themes arising out of this global collaboration among educational leaders are social justice and quality in the face of 21st century leadership challenges and innovation, inventiveness, and the imagination as leaders leading into the future. This book includes a collection of essays written by aspiring school leaders at the culmination of a semester in which they engaged in activities through course work to develop instructional leadership knowledge and skills while simultaneously increasing in global and cultural competence. The book includes course activities utilized in the development of students' competence. Foreword by Randall Lindsey and Raymond Terrell. The editors, Sandra Harris and Jason Mixon, both from Lamar University, have assembled a vast array of education leaders from around the world with expertise in the field to present a series of provocative articles that are both insightful to the issues and prescriptive as to what is needed to be accomplished in today’s global society. This text offers a practitioner, scholar, or even a casual observer of educational administration a tremendous insight into our world. Author Louis Wildman writes for the educational leader who wishes to understand more clearly and think more deeply about his/her profession. I begin all of the courses I teach by setting forth my basic beliefs about educational leadership, so that my students will understand my perspective. Educators have an ethical obligation to make their position known so that students can agree or disagree. The problem with doing this is that students may get the idea that they should adopt their instructor’s beliefs to pass. But I quickly try to assure students that while I want them to understand my perspective, I also want them to develop their own beliefs after considering alternatives. Likewise, I hope you will use this book to re-consider and then share your ideas about educational leadership. This book is currently only available as a paperback. Last updated in 2018! This book (version 2.2)is focused on an approach to quantitative analysis that is designed from the ground up to support leadership decision-making. It is written from an applied, pragmatic, and concise perspective based on the author's extensive experience as a teacher, reformer, and policy analyst. As a result, this book is able to cover the topics of (a) how to critique research, (b) how to design and develop a rigorous EdD dissertation, (c) how to produce a quality dissertation literature review, and (d) how to apply quantitative research to the improvement of practice—all in a single book. The idea of conducting a research investigation and then turning that investigation into a doctoral dissertation can sometimes generate anxiety. In this book, we take students through the dissertation process, from the dissertation proposal through a completed doctoral dissertation. The components of the dissertation proposal and of the dissertation itself are examined, with respect to scholarly writing, APA compliance, and formatting. Practical and detailed suggestions are provided, along with exemplars for each of the major sections of Chapter I. We cover, in our book, the traditional dissertation, the journal-ready dissertation, and the capstone. As such, the majority of dissertation types which educational leadership doctoral programs use are covered in this book. ​It is indisputable that student learning and cognition increases when student engagement is maximized. The more students are engaged and the more teachers can determine the true level of engagement and understanding occurring in a lesson, the higher the academic outcomes. This book proposes simple methods for integrating technology into teaching pedagogy and creating a student-centered, collaborative, differentiated, constructivist classroom environment. The book is designed with lessons that are intentionally generic because we want teachers to focus on the possibilities and adaptability of the lessons and not on the specifics of the lessons themselves. This is the electronic book version. It's an interactive PDF file. To purchase click the ADD TO CART button below. Once your purchase is complete you will receive an email with the direct download link for this book. You are purchasing ONE download so be sure you download this book on the computer or device you will use most often.